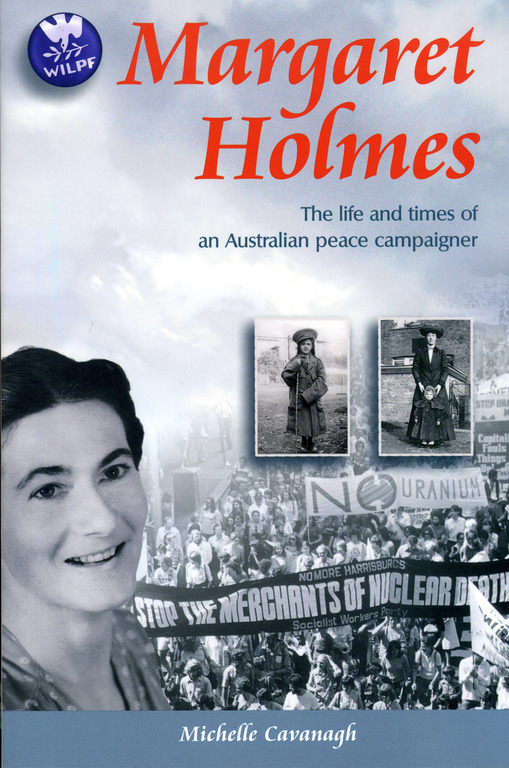 MARGARET HOLMES THE LIFE AND TIMES OF AN AUSTRALIAN PEACE CAMPAIGNER was published by New Holland in April 2006; a definitive biography of one of Australia’s unsung heroes. Spirited and strong-willed, Margaret Holmes was shaped by some of the twentieth century’s most defining moments in war and peace. Born into a wealthy, professional family in Wahroonga, Margaret discovered pacifism at Sydney University. She spent her first four years of study in residence at Women’s College, while in the suburbs surrounding the university the urban poor battled with the woeful conditions of the Depression years. Margaret married a doctor, had six children and was already being watched by ASIO when, in 1960, she formed the NSW branch of the Women’s International League for Peace and Freedom. Speaking out against Australia’s involvement in the Vietnam War, apartheid in South Africa, and chemical and biological weapons she worked on many causes over the years included Aboriginal reconciliation and refugees. Margaret was made a Member of the Order of Australia in 2001. It was a thrilling moment for me when the late Dr Stella Cornelius AO, OBE & Founder/Director of the Conflict Resolution Network officially launched the book at The Women’s College, University of Sydney where Margaret had spent the first four years of her study prior to gaining a Bachelor of Science in 1933. It took place on Saturday 22 April 2006, exactly forty years after the first conscripts had been farewelled from Sydney’s Garden Island aboard HMAS Sydney on their way to Vietnam (of which my husband was one). Margaret died in September 2009 having lived to celebrate her 100th birthday with her family. My book is a celebration of what one woman can achieve in her lifetime.